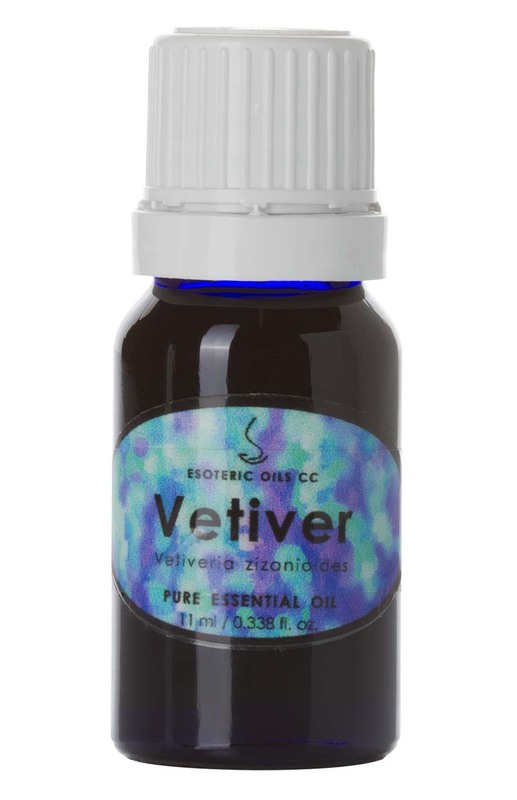 Vetiver oil is extracted from Vetiveria zizanoides (also known as Andropogon muricatus) of the Gramineae family and is also known as vetivert and khus khus. This essential oil has a wonderful effect on the mind and body and is useful to dispel irritability, anger and hysteria, while having a balancing effect on the hormonal system and is a great boon for the skin. It is used to reduce wrinkles and stretch marks while nourishing and moisturizing the skin and helping wounds heal. Vetiver oil is also known as the 'oil of tranquility' because of its calming properties. It is extracted from the washed, chopped, dried and soaked roots and rootlets by steam distillation and yields about 0.5%. The therapeutic properties of vetiver oil are antiseptic, aphrodisiac, cicatrisant, nervine, sedative, tonic, sedative and vulnerary. Vetiver oil has a calming and soothing effect on the nervous system and is helpful for muscular aches and pains, as well as having a positive effect on hormonal imbalance as well as relieving insomnia. In vapor therapy, vetiver oil can be used for nervous complaints, dispelling hysteria, anger and irritability and also to relieve insomnia. In blended massage oil or diluted in the bath, vetiver oil can help with mental and physical exhaustion, nervous complaints, rheumatism and arthritic pain, insomnia as well as balancing the hormonal system and have a healing effect on the skin. In a cream or lotion, it can be used to moisturize and nourish the skin and is specifically beneficial for dry, irritated and dehydrated skin. It is also helpful in reducing wrinkles and stretch marks and to improve the tone of slack skin, as well as helping wounds to heal. Although most essential oils blend well together, vetiver oil blends particularly well with benzoin, grapefruit, jasmine, lavender and ylang-ylang.